Gearbox is software for better fleet management. Forget all the spreadsheets and complicated, outdated, clunky software. Gearbox is fleet maintenance and compliance simply done better. by single or multi-users on single or multiple locations. 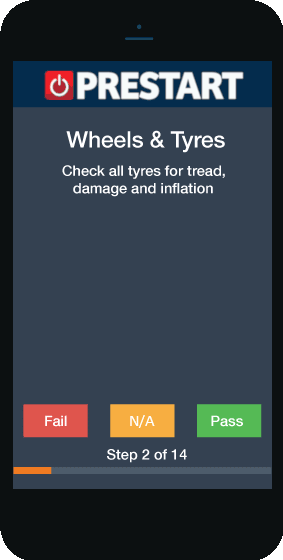 Easily track maintenance for any kind of vehicle, plant or equipment that requires periodic servicing or inspections - as well as Repairs, Tyres, Fuel, Prestarts and other miscellaneous items. More than just functional and reliable, simplicity and usability is everything. 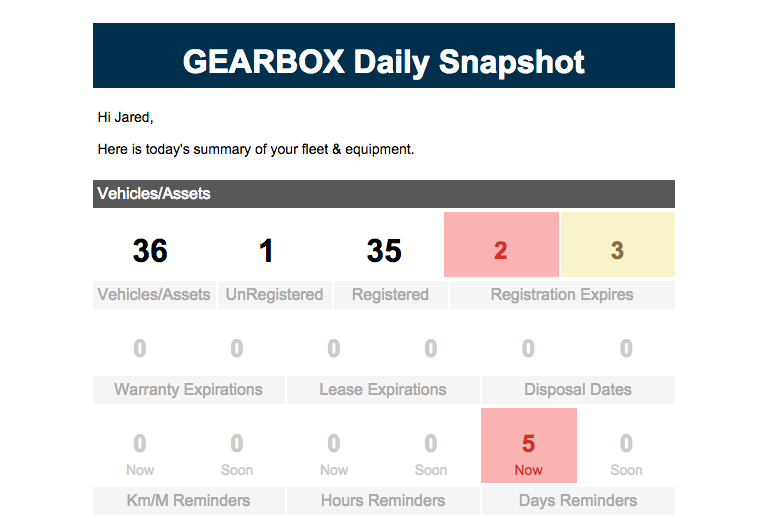 From the developers of ServiceTracker, Gearbox makes fleet maintenance easier and more accessible than ever. Warnings for expiriation of registrations, permits and components or inspections and services due. Services can be based on Kilometres, Hours, Days or a combination of all three. Configure Gearbox for the intervals and warnings required for each type of equipment based on utilisation or manufacturers specifications. Opt in for nightly emails to keep you up to date wherever you are. Use the Prestart App to receive Electronic Prestarts and Fault Reports in realtime - no more missed, lost or waiting for paperwork. Email notifications advise Fleet Managers or Mechanics of Fault Reports including photos as they happen. Convert Fault Reports directly into Workorders / Jobcards to streamline maintenance management, reduce paperwork and get things done. Prestart also allows drivers and operators to record fuel and loads. Create as many service parameters and checklists as required with individual intervals and warning settings. 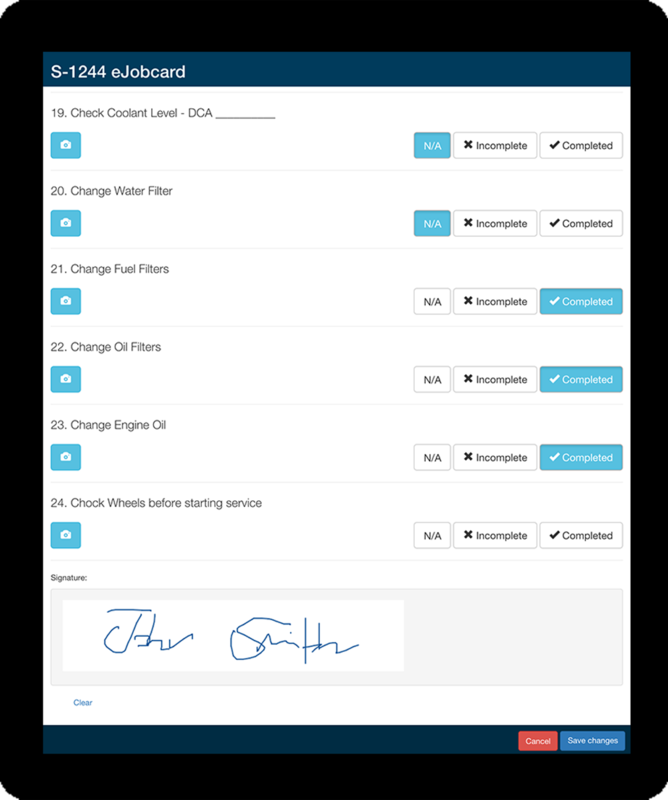 Use traditional printed Jobcards or on-screen checklists that allow you to take photos with your tablet or phone. Outstanding repairs and tyre jobs are automatically added to the jobcard - so nothing gets missed. Quickly and easily run maintenance history searches or reports for any equipment. There are also prompts for warranty items - so you don't pay for things you shouldn't. As soon as you raise a repair and select the code, Gearbox will display all history for that code. Track running costs by cents per km or $ per hour across Service, Repairs, Tyres and Fuel. Group vehicles together by type, make or depot to compare apples with apples. Create sub groups where assets contain subcomponents such as an agitator with a barrel or truck with trailers for both individual and full rig running costs. We've pioneered the way fleets operate mass and maintenance management. Gearbox automates quarterly compliance reviews. Stop all the spreadsheets and paperwork by having a single system for vehicle registers, non-conformances, training records, fault reporting, servicing, compliance and more. Keep up to date with your fleet wherever you are with automated emails. Choose which information you want to be informed about through an easy to use configuration in your user profile. Gearbox Integrates with our Driver/Operator Prestart App. Gearbox Connects to GPS/Telematics for automatic meter readings. Gearbox pushes/exports data to accounting software. Fleet Maintenance & Compliance is now easier than ever.